The logo (above) was designed by Charlotte Carrivick of the Carrivick Sisters. Next year Ireland's oldest bluegrass festival will welcome Britain's leading classic hard-core traditional bluegrass band to the top of the bill. The 24th Athy Bluegrass Festival will be held at Athy, Co. Kildare, on 11-13 July, with the New Essex Bluegrass Band (GB) as the headliners. In 2014 the NEBB will have existed as a band for twenty years. In that time their performances at major festivals have included several in the Netherlands, France, and Lithuania. They are the acknowledged experts in Britain on using the single microphone, and a major section of their website is devoted to this. The latest issue of British Bluegrass News, the official magazine of the BBMA, includes a review of their latest album, On our way back, and 'Some bluegrass memories', a major feature by Paul Brewer, founder-member and guitarist of the NEBB. 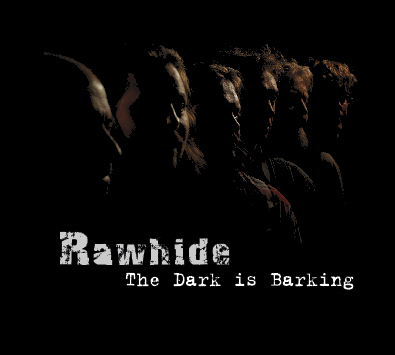 Saturday: Blue Maxx (below) and Rawhide in concert in Heffen (Mechelen). Veeery nice location for a listening audience! Banjoist, guitarist, singer, and bandleader Danilo Cartia (I) announces that the Danilo Cartia Band will be playing bluegrass, blues, and ballads at two shows in Rome this week: at the 'Help Pub', Via Giovanni Animuccia 24, from 10.00 p.m. on Thursday 28 November, and at the 'Enoteca 11 Massacciuccoli', Via Massacciuccoli 11, from 10.00 p.m. on Saturday 30 November. Rainer Zellner and his Music Contact team send the latest news on tours by bands in bluegrass and related music in the November 2013 Music Contact newsletter. In response to a suggestion received, the European Bluegrass Blog is putting this information before its readers in a new way. Instead of reproducing the lists of dates, we are giving links to the schedules as they appear on the Music Contact website. These contain more information, including links to venue websites and contact data. We also give links both to bands' own websites in English, and to Music Contact information ('MC bio') about them in German. Please let us know whether you like this new format! Supported by Bear Family Records, Dynamite Magazin, Rookie Magazin, WDR, No Fences, GBMA, Hufgef lüster, Folker, Hillbilly Guesthouse Mailorder. A nine-minute preview video can be seen here. Tour schedule 27 Nov.-15 Dec. Thanks to Walter Fuchs, director of the International Bühl Bluegrass Festival, for the news that Della Mae (USA), who won this year's IBMA Emerging Artist award, will be playing eight shows in western and northern Europe next spring in addition to their appearance at the 12th Bühl Bluegrass Festival (2-3 May 2014). The purpose of the jam is to let the musicians to propose tunes to each other, spontaneously, following the feeling of the moment. However, to allow to everybody to be comfortable, we will suggest every month 1 'standard' piece of the style which will be certainly played! On Nov. 29, we will play 'Arkansas Traveller'. The folk trio Snaarmaarwaar, whose repertoire combines traditional and original material, will be the featured group. The news from the Toy Hearts (GB), published on the EBB on 13 Nov., mentioned that the US duo Nedski and Mojo (Ned Luberecki and Stephen Mougin) are touring this month in Britain. Stephen Mougin is keeping an online journal of their travels, and three instalments have so far appeared on Bluegrass Today. The latest, published today (20 Nov. 2013) can be seen here: in which our heroes tackle the problems of visiting - and performing in - London musical instrument shops without buying anything, and of transporting their indispensable gear around town afterwards. May 6 through 20: Tour of Britain, arranged by the Owlsworld agency. ... We've got a new album on the way, and as a preview we just released a single off it, titled 'Broken things'. You can listen to it and download it for free here. We have a Kickstarter campaign going for the record, which you can visit here, where people can contribute and pre-order the album. The Swiss bluegrass band The Country Pickers, whose roots go back to the 1960s, are about to embark on a whirlwind tour to promote their latest recording project "CP Special", an instrumental composed by banjo picker Hermann Merath. The Country Pickers consist of Robert Brunner (dbr, voc), Paolo "Colonel Pablo" Dettwiler (mand, voc), Hanspeter "Casey" Gasser (bass), Tom Lochbrunner (git, autoharp, voc) and Hermann Merath (bjo, voc). They re-formed the well-known Swiss group in 2010 after a hiatus of 15 years. "CP Special" is made up of nine newly recorded tunes showcasing the band's current sound and ten additional songs portraying the musical roots of the five band members. 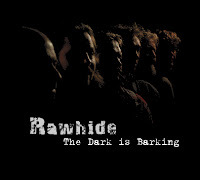 The CD is available by writing an email to countrypickers@gmx.ch. Friday, 22 November 2013, Dorfstübli, D-79689 Maulburg, Germany, 8 p.m.
Saturday, 23 November 2013, 4th SwissGrass Night (also featuring Blue Sky and Wäfler Brothers), Jufa, CH-4052 Basel, 7 p.m.
Sunday, 24 November 2013, dolder2 KultUhrBeiz, CH-8245 Feuerthalen, 7.30 p.m.
More show dates have been confirmed for 2014. Check out The Country Pickers on the web, Facebook or on YouTube. Angelika Torrie will be teaching bluegrass jamming using the Wernick Method on a two day workshop on Sat-Sun, Feb 8-9, 2014, 9:30AM - 4:3PM (with one hour lunch break), in Basel, Switzerland. 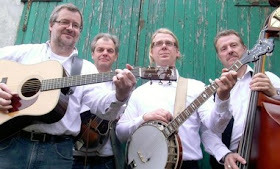 It's the first bluegrass jamming workshop using the Wernick method in Switzerland. Angelika became a certified Wernick method teacher back in April 2013 and her first teaching at Adiaha's Bluegrass Camp in Aschau, Germany, was very successful and well received. Do you qualify to participate? It's easier than you may think! If you play guitar, mandolin, banjo, fiddle, bass, or dobro... you can be part of a bluegrass jam. Only requirements: You must be able to tune your instrument (electronic tuning devices welcome) and change smoothly between G, C, D, and A (Fiddles and basses need to know which notes work with which chords). To find out more, please visit www.bgjam.com to find out more or go directly to Angelika's registration page (information available in both German and English) to hold your spot. Bass players are eligible to a 50CHF discount! 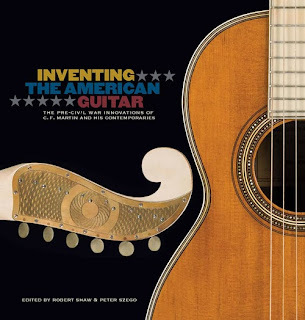 Inventing The American Guitar is the first and only book to describe the early history of American guitar design in detail. It tells the story of how a European instrument was transformed into one with all of the design and construction features that define the iconic American "flat-top" guitar. This transformation happened within a mere 20 years, a remarkably brief period. The person who dominates this history is Christian Frederick Martin, Sr., America's first major guitar maker and the founder of the Martin Guitar Company, which continues to produce outstanding flat-top steel string guitars. Born in 1792, C.F. Martin, Sr. emigrated from his native Saxony (Germany) to New York in 1833. He quickly established a guitar making business producing instruments modeled after those of his mentor Johann Stauffer of Vienna, Austria. By the time he moved his family and business to Pennsylvania, USA in 1839, Martin had absorbed and integrated the influence of Spanish guitars he had seen and heard in New York. In Pennsylvania he evolved further inventing a uniquely American guitar that was fully developed shortly before 1863. 'Inventing The American Guitar' traces C. F. Martin's evolution as a craftsman and entrepreneur. It explores the influences and experiments that led to his creation of the American guitar that is recognized and played around the world today. The book also introduces various stringed instruments which played important roles in C.F. Martin's guitar history. top of their individual fields in music and guitars. The book is rather large. It is approximately the size of an LP record jacket (a size often referred to as a 'coffee table' style). It includes amazing high resolution photos of prominent instruments in guitar history, including rare guitars never photographed until now. There is an easy-to-read timeline of the early history of guitar making. Accompanying each instrument photo is a valuable reference for the reader, complete with a column of specifications for the prominently historic guitars. This unprecedented history book is simply a fascinating read -- both for the scholar and the average music fan. if you own a Martin guitar, or if you play an instrument, or if you are a lover of vintage instruments in general... this book will serve you well for years to come. There are few, if any, music publications as detailed and as well researched as 'Inventing the American Guitar'. A real bonus for the general public is the low purchasing price (see prices below). I have no idea how the publisher Hal Leonard Books manufactured such a beautiful piece of work for such a low price. I have seen countless similar art and wilderness 'coffee table' books sell for $150 - $200 USD. I would argue that an "encyclopedia" such as this may come along but once-in-a-lifetime. Until now, nothing has come close to the meticulous work done in this finest of music history publications. A pure masterpiece by any standard. A full review/article will appear in a future issue of Bluegrass Europe Magazine. As a lifetime player and builder, I've never been happier with the sound, appearance, comfort, playability, and wide range of selection that we can now offer. In short, our thirty-year quest for better banjos might be called a tireless passion for achieving the sound that players want. NMP recently acquired Woodhaven Industries, the USA's top tone-ring producer, giving the expanded company state-of-the-art turning and machining facilities and expertise for producing the world's best precision tone rings. Distributor and builder inquiries are invited. With this expansion, Tom can offer virtually any custom combination, both in banjos with his Heli-Mount system, and in those with traditional-style pots. Recent Nechville breakthroughs include a Cyclotronic version of a 40-hole archtop tone ring, interchangeable with the standard NMP flat-top ring; the new Crescendo Acoustic Harness amplification system for banjo; and the Flux Capacitor system for trad banjo bodies, to add to his many earlier innovations including the Enterprise Bridge and redesigned armrests. 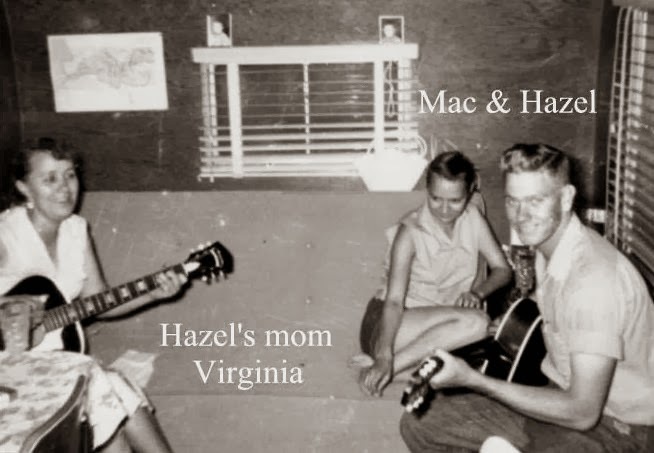 More specifics, including more about the history and concepts behind Nechville Music Products, can be seen on the NMP website, NMP blog, and Banjo Hangout blog. Banjoist, guitarist, singer, and bandleader Danilo Cartia (I) announces that the Danilo Cartia Band will be playing bluegrass, blues, and ballads in Rome at the Bar Celestino, Via degli Ausoni 65, from 10.00 p.m. on Saturday 16 November. Rainer Zellner and his Music Contact team send the latest news on tours by bands in bluegrass and related music in the November 2013 Music Contact newsletter. More details of bands are on the Music Contact website. We are happy to report that we had a fantastic summer in Austin, Texas, and have slowly been readjusting to life back in dear old Blighty. We have some shows coming up before the end of the year, as well as the news that our EP will hopefully be available at our Christmas Party. Before then, however, we will be back on the road in the UK in November and December. For a full list of our gigs, including shows in Stroud, London, Middlesborough, Bishop's Castle, Birmingham, Leicester, and Lewes, please see here. Firstly, this month our good friends Ned Luberecki and Stephen Mougin are coming to the UK. They are two top-notch Nashville pickers: Ned runs a bluegrass show on SiriusXm and plays banjo in Chris Jones & the Night Drivers, and Stephen is the guitarist and singer in Sam Bush's band. As the duo Nedski & Mojo they are more stripped-back than a full bluegrass band, giving a really intimate show, with great songs, great picking, and some very funny banter. They are playing all across the UK, so get yourself down to a gig folks! For full details of their UK tour dates see http://nedskiandmojo.com. We would like to give a special shout out for anyone in the Birmingham area, as Nedski & Mojo are playing at the Kitchen Garden Cafe in Kings Heath on Monday 18 November. The Toy Hearts will be out in force to support the evening and might even sit in for a number or two, so please do help us show them a warm Brummie welcome. Direct link to tickets is here. Sun. 1 Dec. at the Hare and Hounds, Kings Heath, Birmingham - Please do come down and support our efforts to bring you a taste of Austin, Texas. CHRISTMAS SPECIAL & EP PREVIEW! Finally, we are looking forward to our Christmas Special this year at the Hare and Hounds in Kings Heath on Sunday 22 December. This year we will be hoping to have some special limited-edition copies of our brand new EP, Flyin' too high. We recorded it over a couple of sessions in a lovely studio in Austin. It's a four-song selection of some of the swing and honky-tonk music we were playing over there; it also features Jake Erwin from Hot Club of Cowtown on double bass. You can get tickets for the Christmas show here. That's all for now folks! We really hope to see you at a show soon, and don't forget to support our international band-exchange programme by going to see Nedski & Mojo and The Jitterbug Vipers! Photos from the Toy Hearts' summer in Austin can be seen on their website. Following the November 2013 newsletter from the New Acoustic Gallery (NAG) in Germany (reported on the EBB on 4 Nov.), Oliver Waitze sends a reminder that the next NAG concert will be given on 23 Nov. by the Trio Vibracao (above) - Oliver Waitze (acoustic guitars, mandolin, mandocello, banjo), Jesper Rübner-Petersen (DK) (mandolin), and Max Schaaf (acoustic bass). The Trio play hot swing, jazz, and traditional bluegrass with verve, virtuosity, and great enjoyment. Tickets (€15) can be booked from Oliver Waitze at +49 (0)202-94672730. The concert will be held at the Bürgerbahnhof, Bahnstraße 16, 42327 Wuppertal - Vohwinkel, Germany. On the same weekend (23-4 Nov.) a mandolin workshop with Jesper Rübner-Petersen will be held - his tenth workshop, held for the first time in the NAG's new location, Schloss Lüntenbeck. Bluegrass, old-time blues, and swing jazz are the main themes, with attention also being given to technique, improvisation, and small-group playing. The workshop registration fee is €150. Thanks to Friedrich Hog (left), president of the German Bluegrass Music Association, for the latest playlists from his weekly 'Americana' radio show on Radio Free FM Ulm. The lists can be seen through the link on the European Bluegrass Blog's separate 'Radio playlists' post. On Monday 25 November, 8.00-10.00 p.m. our time [Central European Time], Fragment will be in the studio for an interview and a live performance. Recent guests performing live in the studio on Friedrich's show include Ash Gray (4 Nov.) and Muriel Anderson (11 Nov.). Everyone can listen to all radio shows in the 'Americana' series by using the 'Livestream' button on the www.freefm.de website. Banjoist, guitarist, singer, and bandleader Danilo Cartia (I) announces that he will be playing bluegrass, blues, and ballads in Rome at the Blue Pub's Unplugged Night, from 9.30 p.m. on Thursday 14 November. The Blue Pub is at Via Cicerone 64, Fonte Nuova. For information and bookings, ring 347.120.32.76. Award-winning, acclaimed, and highly prolific banjo player, composer, and instructor Richard Ciferský (SK) brought out this year his third solo CD, Coming back for more, which also features vocal and instrumental work by the Chapmans, Rob Ickes, Becky Buller, Adam Janos, Jonathan Maness, and Loes van Schaijk. The album receives high praise in a review by David Morris on Bluegrass Today. Read more here. Richard, who has been touring in the USA during August-October this year, will also be on tour with Fragment in Germany and the Czech and Slovak Republics from 23 Nov. to 1 Dec. Full details are on his online tour schedule. Thanks to Gary Ferguson (seated, in the photo above) for news of his tenth tour in Ireland, to be made next year in company with Gary Ferguson (standing). Singer/songwriter Gary Gene Ferguson (author of the Larry Sparks hit 'Last day at Gettysburg') has toured in Ireland every summer since 2005, working with such Irish musicians as Mick Hanly, Charlie McGettigan, Frankie Lane, Janet Holmes, and Colin Henry. Next year his musical partner will be multi-instrumentalist and songwriter Gary Alan Ferguson, and they will tour together as Ferguson & Ferguson. Dates for half of their tour period (14-26 July 2014) are already confirmed. More details are on the Bluegrass Ireland Blog. Thanks to Brian McNeal of the Prescription Bluegrass Blog (USA) for the news that Irish singer, songwriter, bandleader, and broadcaster Niall Toner (right) has released a new music video, based on his original instrumental 'Burren backstep'. The tune can be heard on his Pinecastle album Onwards and upwards (PRC 1182); and it can now also be 'seen', either on the Prescription Bluegrass Blog or on YouTube, where it is the first video on Niall's new YouTube channel. The video is very nicely shot, with closeups of Niall and three other pickers giving the tune a thorough work-over. It closes with the dates of Niall's appearance schedule at MerleFest 2014. Thanks also to ace bluegrass journalist Richard Thompson for the information that 'Burren backstep' has been chosen as the theme for a new Irish movie called Keep it country, to be shot next summer. The director, Ciaran O'Connor, has worked in TV and film for over twenty years, and Keep it country will be his second feature film. All EBMA members receive Bluegrass Europe free of charge, but anyone can subscribe to the magazine here. A complete schedule of events is now available for the Ireland Immersion Weekend (15-17 Nov.) in Brentwood, TN. The Weekend is presented by the Irish Gift organisation and features 'a full spectrum of Irish culture for those interested in immersing themselves in what Ireland has to offer'. It will also include a performance of 'The mockingbird sings', a musical drama centred on the historic 1927 recording sessions in Bristol, TN, often called 'the Big Bang of country music'. ... is anyone offering a mirror-image experience, for the benefit of those in Ireland who'd like to feel they're in the catchment area of the Bristol Sessions? Thanks to Oliver Waitze of the New Acoustic Gallery (NAG) in Wuppertal, Germany, for the November 2013 issue of its newsletter. The NAG stocks the finest acoustic instruments and accessories for bluegrass, gypsy music, and other genres, offers a repair service, and organises workshops and concerts. Oliver reports that the fantastic jubilee concert at Schloss Lüntenbeck by Darol Anger and Mike Marshall on 27 October 2013 was an absolute highlight in the ten years of concerts at the NAG. Video clips from the concert can be seen on the NAG website. The next NAG concert will be on 23 November, given by the Trio Vibracao: Oliver Waitze, acoustic guitars, mandolin, mandocello, banjo; Jesper Rübner-Petersen (DK), mandolin; Max Schaaf, acoustic bass). Tickets (€15) can be booked by 'phone at the NAG. More information is on the Trio's website. Instruments now in stock include a historic 1918 Gibson F2 mandolin (S/N 40633) for €3490; guitars by Bourgeois, Martin, and Furch; Eastman MD 315, MD 514, and MD 305 mandolins; and a Marc Beneteau baritone guitar. A video clip of this instrument, played by Oliver, can be seen here. Forthcoming workshops at the NAG include a Fingerstyle Workshop with Franco Morone on 10 Nov. 2013 from 10:00 to 17:00 (€85) and a Mandolin Workshop with Jesper Rübner-Petersen on 23-4 Nov. 2013. Places for the workshops can be booked by 'phone (+49 (0)202/94672730). 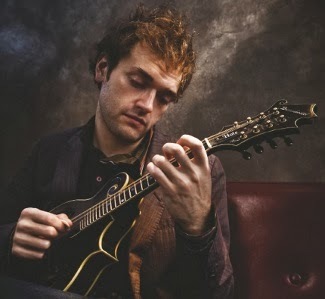 Mandolin player of many styles, singer, writer, and all-around good guy Chris Thile will tour Ireland, UK, and Spain starting November 5, 2013. Of special note is a FREE show in Amsterdam, Netherlands for one-night on November 9. No reservations. Seating on a first-come, first-served basis only. Chris is just stopping by on his way to Spain, and there is sure to be an early line forming outside the venue's door!